ONLY 4 seats remaining on the bus. Buy soon! 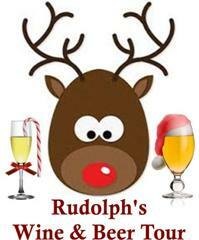 Enjoy Rudolph's Ugly Sweater Party with Paulson Tours and get into the Holiday Season with this premium Wine and Beer Tour to Seneca Lake! This is an UGLY SWEATER or dress if you want holiday themed trip. Wear your ugliest sweater or if you want, dress as your favorite holiday character and you and possibly your whole group may win a free gift. Something for him, something for her, you can't go wrong on this Holiday tour! Great wine, great beer, great food! We have hand selected the MOST FUN and best wineries on Seneca Lake.